In today’s ever-changing business landscape, enterprises are not just competing on the products they deliver but also how they engage with their customers. Prudent businesses are already investing in new-age technologies to win at customer experiences. According to a report by Forbes, 56% of the top performing businesses are investing in AI to personalize and continuously learn from customer interactions. The pre-requisites for driving engagement and delivering delightful customer experiences is to offer them a personalized experience and respond to their queries and solve them as fast as possible. And, for this same reason, Chatbots have gained tremendous popularity in the past few years. According to Gartner, by 2020, 55% of all large enterprises will have deployed at least one bot or Chatbot. Chatbots can offer a personalized experience to visitors’ on a website by learning customer preference every time they interact with the site, and they can help in delivering an augmented experience to the customer with every interaction. They can store an infinite amount of product information and answer a customer query accurately every time. A lot of bots today are trained in NLP, and the conversations can sound extremely human-like which adds to the customer experience. These bots can further help in lead nurturing and progress leads down the sales funnel. They can be programmed to learn from every website interaction with the consumer, email campaigns etc. and give customized offers or upsell and cross-sell products to them. When it comes to B2B businesses, Chatbots can be extremely helpful to respond to customers in real-time and in a personalized fashion, a far more effective method of connecting with your prospects, than sending them an auto response saying, ‘someone will get back to you soon’. Further, Chatbots can also reduce the time to qualify a lead by asking them relevant questions, so when leads come to the sales/marketing team, they are already qualified. Chatbots can be beneficial not just in nurturing leads but also saving sales and marketing teams a lot of time, so it’s a win-win situation for both customers and businesses. Chatbots have evolved by leaps and bound in the past 50 years since its inception. Eliza was the first chatbot which was created by MIT professor Joseph Weizenbaum in the mid-1960s. Eliza laid the foundation of the modern Chatbots today. Eliza was fed with a limited data and instructions (the doctor script), and it ended up sounding like a psychotherapist, and probably not an assistant. Siri, on the other hand, even though based on the same NLP principles as Eliza, is empowered by machine learning and is way more intelligent and helpful than Eliza. Another factor that impacted the chatbot technology since Eliza was the switch from command prompt system to Graphical User Interface systems which made it easier for people to interact with a computer. Further, the rise in the use of natural language in Chatbots made it more acceptable for users. After Eliza, Siri was the major breakthrough in Chatbots. However, Siri also has its own shortcomings like having difficulty in understanding some accents. Thus users might have to modulate their voice, or if Siri doesn’t understand something, it might ask you if you want to search the ‘web’ for the query. Even though the technology is still evolving, in the coming years the potential of Chatbots to connect with users is humongous. But is the chatbot technology ready yet to engage with customers? Despite the interest businesses are showing in Chatbots, customers are not yet ready to depend only on a bot to make purchase decisions. One of the reasons for this is Chatbot technology is still evolving. Humans want to interact with humans, and largely bots have not been able to bridge that gap yet. The most popular bots like Siri, Alexa, Cortana etc. do not sound too robotic and are able to give smart answers, and thus connect with the user. So, as technology evolves, hopefully, we will see more intelligent and human-sounding bots. Further, user experience (UX) design is paramount while adapting Chatbots to make sure that these bots do not sound bot-like and understand most of the queries asked by a consumer. Most users on a brands’ website have come there with the purpose of gathering information, and are not ready to move ahead in the sales cycle, and thus they see Chatbots as an interference to their experience. So, these bots have to aid customers in educating them about the product or maybe learn from their interactions on the website and communicate with them according to that. Retail brands are a great example of that, e.g. H&M by provides live fashion recommendations through its chat application by asking about consumers about their style preferences, and also helps them in making a purchase decision in case they are not sure. The key is to make them not intrusive, but helpful – think of a real-world example of a helpful, informed store assistant who is available in the aisle to answer any questions you may have, instead of a nosy sales assistant who keeps bothering you when you want to browse in peace. As technologies like AI, Machine Learning etc. 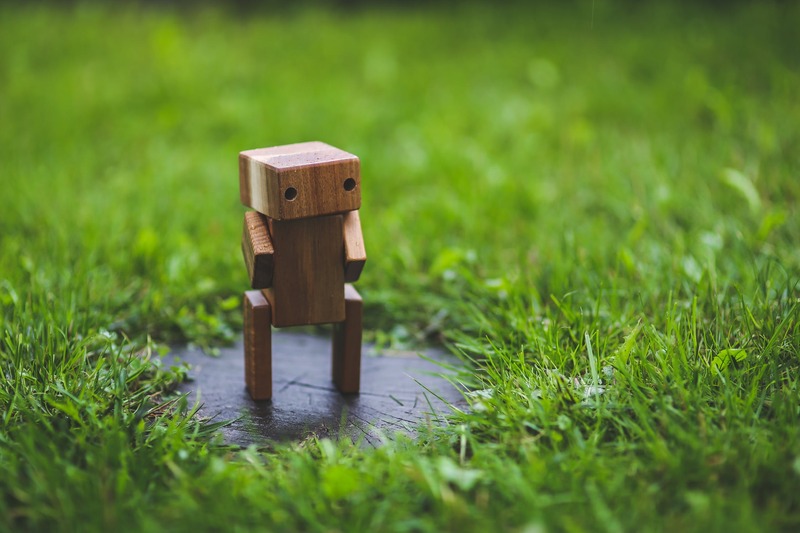 fuel the growth of Chatbots we will see more human-like Chatbots in the coming future. The world shown in the movie ‘Her’ is not too far off!